We all know Full Moons are all about letting go and culminations, etc. Each and every one of you out there has something which has been off balance in your life; you can especially feel it in the area of responsibilities, and, quite frankly, to you, it is simply not fair. This Full Moon in Virgo has you exploring both sides of the story and reconsidering a course of action. Your beliefs have been tested, to say the least, but thanks to Mars in Taurus, you can take a practical position in decisions, yet still manage to look both ways before proceeding. You are not exactly hitting the ground running, but you are moving, both on and forward, in spite of any holdups and snags along the way. As you have been doing thus far, continue methodically; the time following this Full Moon is helping to restore your faith. You will discover blessings to celebrate which will be toward your security. Having the wisdom to know when to act, and when not to act, no matter how much change you desire, is not an easy feat, but doable. This entry was posted in Full Moon, General Tarot, Patreon, Readings, YouTube Videos. Plans are beginning to take on greater intricacy in order to move forward into new territory. Patience and balance are required, and it will be important that your focus be balanced as well. The Universe is plotting to help you leave some things behind, once and for all, and push you toward uncharted areas of exploration. Do not let the unbending ways of Taurus energy prevent you from making the necessary preparations for your future. The possibility for manifestation is here, but you need to come to the realization of what can not come with you on this journey. New beginnings can be exciting, but they can also be blocked if your perspective needs to be changed and this is not happening. The Taurus energy represents a slow down from the Aries energy which preceded it, however, if you work diligently, you can achieve great things through consistency. Finally, a burdensome situation shall begin to balance itself out; you will be able to see at last, both sides of the story, and work your way to a successful outcome. This entry was posted in General Tarot, Patreon, Readings, Through the Eyes of Tarot and tagged Guidance, Mars, Path, Reading, Tarot, Taurus. So, you say you thought February was an eventful month? This Newsletter does not post until the 5th in order to draw the Patreon winners, but already this month has served up energy galore! March 2, we saw the second, and probably the most powerful of three transits, where Jupiter opposed Uranus. The third will occur September 28. The urge to break out of a situation can manifest itself in many forms right now, and it is likely the Universe is doing its part with these two getting together to make certain you do so. Also, Venus retrograded on the 4th and will remain in retrograde through April 15. Hopefully you know the drill; do not begin or end relationships, become engaged or married, find a new hairdresser, etc., or attempt a new style. Plastic surgery is definitely out of the question. Give Venus until May 18 to resume normal activities and then make those important relationship decisions. Some of you may also need a financial review during this time period. The feedback I receive for Patreon is greatly appreciated, and I am totally honored and humbled by the positive response. For those who do not know what I post there, it is ADDITIONAL Tarot Guidance, much more in depth and broken down by Sun sign, planet, retrograde, etc. These are lengthy Guidance videos which incorporate extra layers of understanding for current and future events, making it much easier to navigate day-to-day life. This month’s Patreon drawing is for a $50.00 voucher in the 78 Tarot store, good on anything. Mars will leave home sign of Aries and move into Taurus. You will definitely feel a shift in the energy available to you as far as being able to get things done. Be sure to watch for the blog post and Special Tarot Guidance video on the 7th. 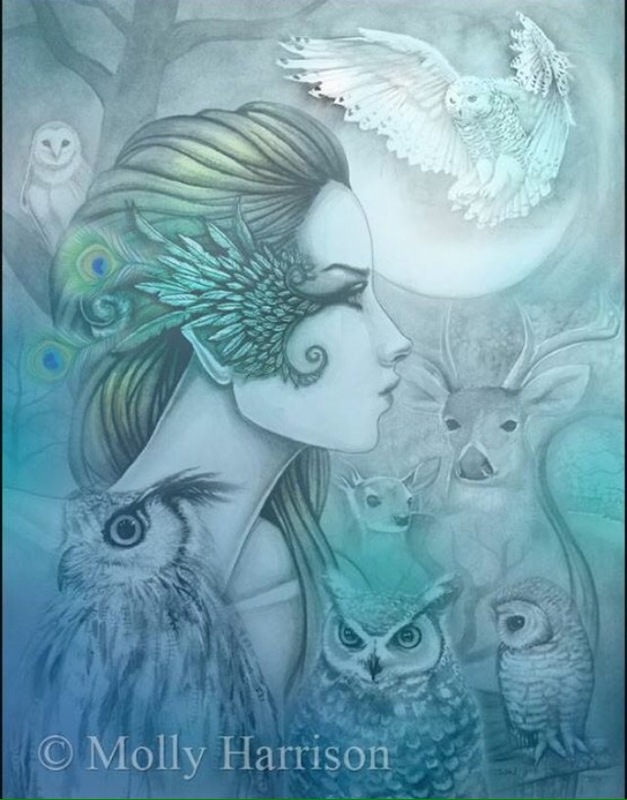 The annual Full Moon in Virgo will occur on the 12th and will present as a mixed bag, however, overall I feel there is much positive to be found; you simply need to acknowledge it. The Full Moon in Virgo blog post and video will be available on the 9th. Starting in March, I have been using a new deck which is not yet in anyone’s hands, for the Featured Card of the Day. It is called Monstartot, created by artist and friend, Joanna Nelson, of Joanna Nelson Studio. Watch each day for these delightful cards to appear in your social media, through the Featured Card series, as well as the daily Memes. The initial offering of Monstarot is only 500 decks, so, if interested, be sure to click on the link included in the Featured Card of the Day to contact Joanna. She is currently contemplating a second deck, and some other interesting products you may enjoy, so stay tuned. Mercury, which has been back to full speed, is moving right along in March. It enters Aries on the 13th, which is the day after the Full Moon. I say this as a caution, for Aries is known for being extremely blunt and forceful at times, often speaking without thinking. Coupled with a Full Moon, you may wish to turn on your filter! On the 26th, I am sad to report that Mercury will enter its pre-shadow period for its impending retrograde. Then, on the 3oth, it will enter Taurus, where the energy tends to slow down a bit all on its own. Note, this is the sign where it will retrograde April 9 through May 3. I am happy to report that I finally seem to have overcome the majority of technical glitches which began back in late July. It has been a long haul, and I thank everyone for their patience, while waiting for personal readings, as I struggled to piece everything back the way it belongs. It is my hope that once I reach June, the wait time on personal readings will be almost non-existent. Perhaps a week, with any luck. Fingers crossed. It is unlikely that many of you out there have ever backed a project on Kickstarter, but, if you have become a fan of 78 Tarot, you may wish to learn more. Projects funded through Kickstarter offer many additional goodies which all Tarot collectors are sure to enjoy. The fourth deck in the series, Astral, will be a collectible Tarot deck with art from 78 different artists, all with an outer-space theme. Perhaps you were lucky enough to acquire the second (Nautical), or third (Carnival) decks, and, if so, I am certain you were delighted. I have been fortunate enough to view some of the artwork which will be used for this deck, and I believe Astral will be the best, thus far. The Kickstarter campaign kicks off on April 11, so this is your heads up if you wish to allocate for a new deck in your budget. I will discuss it more in next month’s Newsletter. Your account is billed at the end of the 30-day Kickstarter project, provided the project is totally funded. This one will be funded in a matter of hours. By the third week of the month, you will see a shift to Aries energy as the annual Spring/Autumn Equinox arrives and the new astrological year begins. There will be a second of three squares between Jupiter and Pluto on the 30th, and the drive to succeed will be fierce. Do make sure the means justifies the end. The New Moon in Aries will arrive on the 27th; this will be a good time for assessing your progress to date and to determine where to next! This entry was posted in General Tarot, Monthly Newletter, Patreon and tagged Newsletter, Tarot. Welcome to February, our universal month of love! Do you have time to think about love this month? It will likely be quite the crazy ride. All of my Tarot Guidance across social media, including Patreon, keep bringing forth two key words: truth and betrayal. However, do not fear these associations with the month, as somehow I feel February produces some spectacular positive results for many. There will be a great deal of change in the air and you will find yourself on a new path by March. 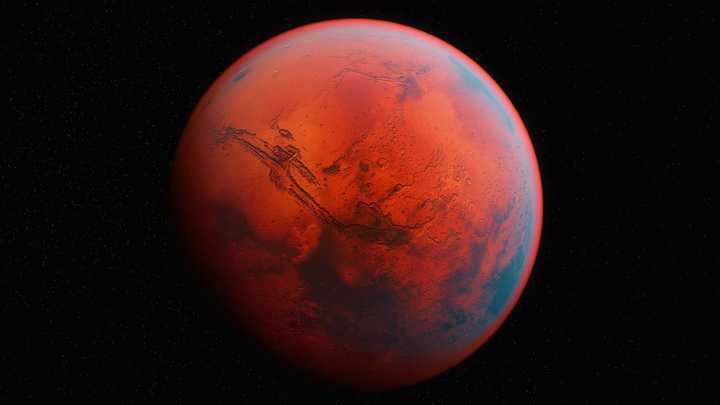 At the time of this post, Mars has entered Aries, and so has Venus, which is also in shadow, as it prepares to retrograde March 4 through April 15. Also note that there are two new Special Tarot Guidance videos, available on Patreon, Mars in Aries (15:38 in length), and Jupiter Retrograde (23:05 in length), in addition to my 2017 Yearly Tarot Guidance (37:54 in length). These are all at the $5+ per month Patron-Reward tier. Look for more and more to be added to this tier in the coming weeks. Thanks for your support! 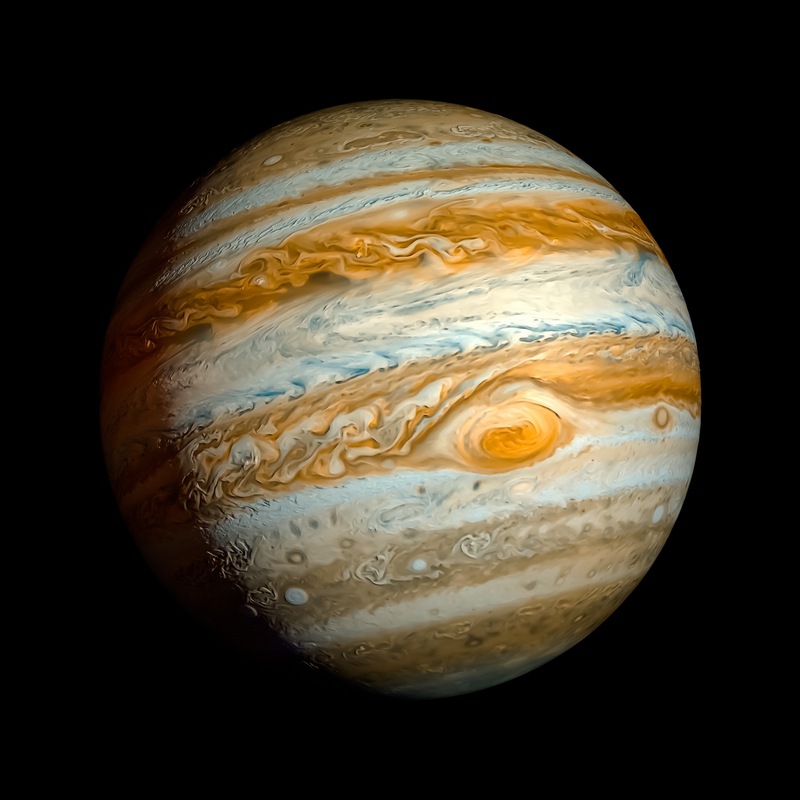 February 6, Jupiter, the giver of gifts and good luck, will retrograde through June 9. Please note it does not leave shadow until September 9; this is all covered in the Tarot Guidance referenced in the above paragraph. I became so emotional toward the end; there is a big FINALLY associated with this to which we can all look forward with great anticipation. The heavy hitters this month will be the eclipses. The 10th features the first in the Leo-Aquarius series, when we will have a Full Moon Penumbral Lunar Eclipse in Leo (Available on Patreon now – 21:10 in length). This will be a month of tremendous change, setting the scene for events of the next six months. The second eclipse, is the final eclipse from the Virgo-Pisces series, and on February 26, we will see the last as a New Moon Solar Eclipse in Pisces. The most intense energies truly feel to be between the two eclipses, especially the 11th through 17th. Don’t forget to report in somewhere and relate your eclipse experiences. Tarot by Cecelia, the Group, is a great place to do so. I know somewhere I have mentioned the 11th through 17th, specifically referring to Carnival time. This month, in celebration of Mardi Gras and their third deck, Carnival, in a series of highly-collectible Tarot decks, 78 Tarot has once again extended a discount for followers of Tarot by Cecelia – 20% off your purchase through February 28 using Coupon Code CECELIACARNIVAL. This entry was posted in General Tarot, Monthly Newletter, Patreon, Readings and tagged February, Monthly, Newsletter, Patreon, Prizes, Rewards, Tarot. A ringmaster drives his chariot through the carnival, a look of triumph on his face. This is no simple horse-drawn cart, but something deserving of an ancient gladiator, pulled by two massive elephants. Storm clouds gather overhead, suggesting trouble and higher powers at work, but the ring master is unfazed, the chariot moves on, unrelenting. These massive beasts could crush him at any time, but instead, they work with him, accepting his command, rather than being broken by his will. 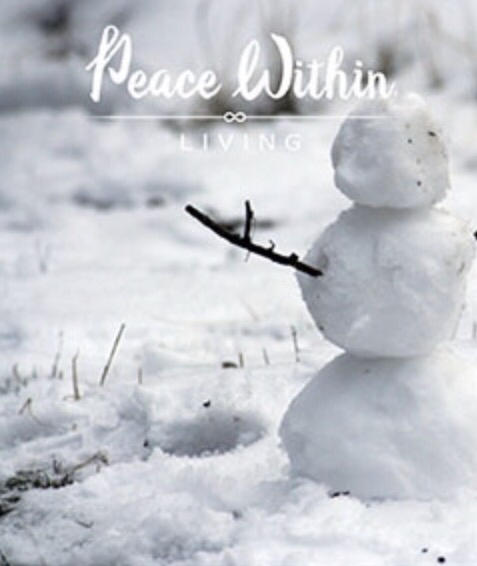 This card is a reminder to be assertive and bold in the face of challenges ahead. Telling us that guided by strength of will and courage, moving forward while maintaining focus will bring success. This is not a time to be timid or meek, but rather, you should gather all your conficence and drive onward. As a follower of Tarot by Cecelia, 78 Tarot has extended to you an additional 15% off any item in their store at checkout. This entry was posted in Deck Review, Featured Card of the Day, General Tarot, Patreon and tagged 78 Tarot, Artist, Carnival, Chariot, Guidance, Path, Reading, Tarot. Happy New Year, everyone! Welcome to 2017! Things are off to a slightly slow start with Mercury still being retrograde, but know that it will go direct on the 8th, at which time there will be NO RETROGRADE PLANETS!!!! And so it shall stay, until Jupiter goes retrograde February 6. It has been a while since there was such a lengthy time span with all planets direct. Also note that my Tarot Guidance for the year 2017 (37:54 in length) is available now on Patreon for the $5+ Reward levels. I will periodically be adding special videos to these levels and hope that you all continue to enjoy them. 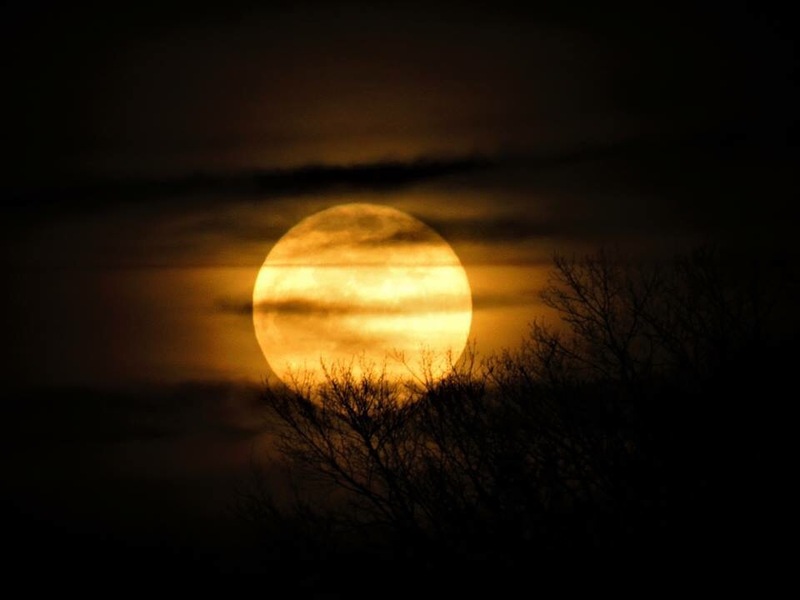 On January 12 we will have our annual Full Moon in Cancer. 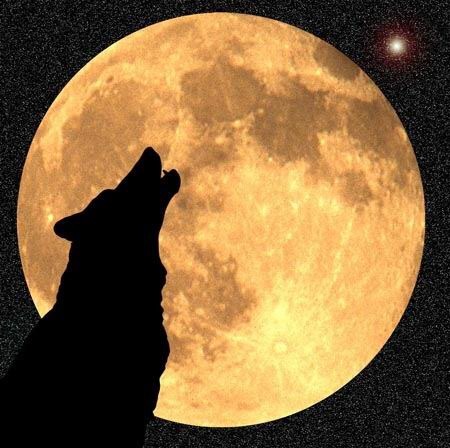 It is also known as the Full Wolf Moon due to the howling of hungry wolves outside Indian villages on cold, snowy winter nights. 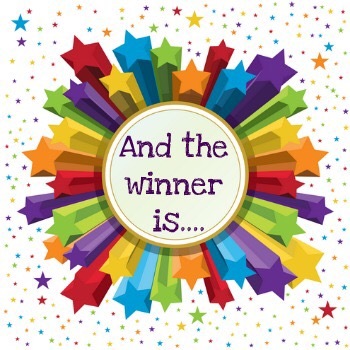 This month there are two Second prizes – FREE Beyond the Shift reading from Tarot by Cecelia. I would like to give a special shoutout to ravenhawks’ magazine for sharing all of my blog posts. Many of you have come here through them and perhaps those of you who aren’t familiar would like to check them out. There won’t really be many new additions making an appearance on the blog or page, until closer to month’s end. There is a New Moon in Aquarius on the 27th and Mercury also leaves shadow that day. 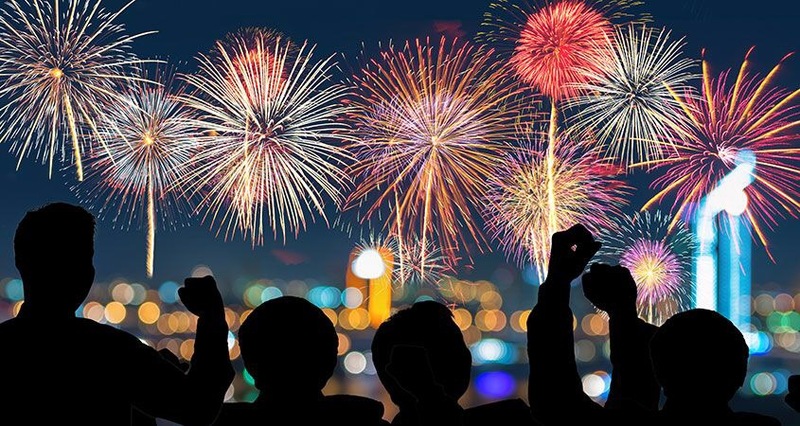 By then, we will all finally be feeling as if the New Year is underway. So many people love the Tarot, and quite a few collect Tarot cards. One of the reasons for collecting is the images which inspire the reader. This year, I will be doing a weekly feature, introducing one Tarot artist at a time. Their talent and dedication is to be admired, so it is time we get to know each of them and fall in love with their work, whether it be through collaborative efforts or stand-alone decks. 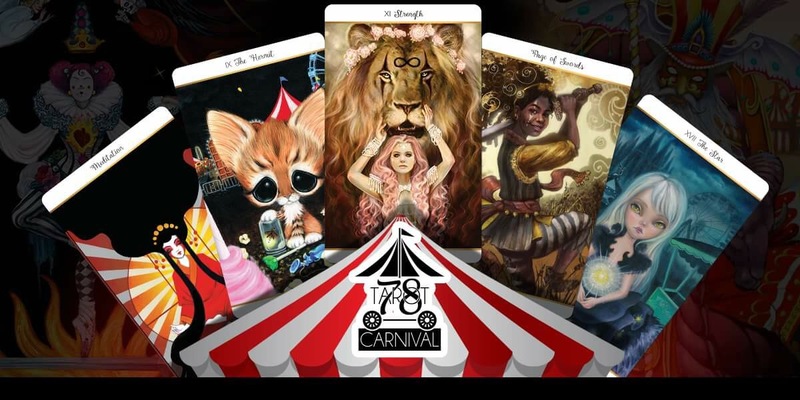 My good friends at 78 Tarot have outdone themselves with their third amazing deck, 78 Tarot Carnival ~ Cirque du Tarot. I began incorporating this deck into the Featured Card of the Day series which posts daily at 6am EST. Once again, they have extended an additional discount off anything in their store, exclusive to followers of Tarot by Cecelia. To save an additional 15% at checkout through February 1, 2017, be sure to use coupon code CECELIA2017. This entry was posted in Monthly Newletter, Patreon, Readings and tagged January, Monthly, Newsletter, Patreon, Tarot. “I tried to keep traditional imagery but placed it under water, a young mermaid as the recipient of the message. I opted to make thick braids laced with dark blue pearls, indicating the youthful and carefree nature of the page, and I put a golden poppy necklace on her which symbolizes a dreamy mystical state of happiness. The golden feather bracelet she wears symbolizes communication with spirit energies and higher thought. The large golden cup she holds represents her emotions, which are very important to her. Underwater, a young mermaid look amazed as a parrotfish pops up out of her golden cup. Bubbles float between them, suggesting the parrotfish is talking to her – sudden inspiration appearing in an unexpected place. A necklace places a golden poppy above her heart suggesting the idea is not coming out of the blue, but has been germinating within her – it sprang, after all, from the cup she was holding. The mermaid’s hair is braided, but tendrils of hair escape, showing the flow of water and her energy. The Page of Cups represents inspiration, creative energy breaking free from within you, asking you to look at the situation with the eyes of a child – full of emotion, imagination, compassion and freedom, without the cynicism of adulthood. As a follower of Tarot by Cecelia, 78 Tarot has extended to you an additional 25% off any item in their store at checkout. This entry was posted in Deck Review, Featured Card of the Day, General Tarot, Patreon and tagged 78 Tarot, Artist, Guidance, Page of Cups, Path, Reading, Tarot.